Terry was born in Shawnee, Oklahoma and graduated from Shawnee High School in 1962. While in High School he played football and ran track. Terry also attended Northeastern A&M and Southeastern State. He started in the finance business in 1968 in Norman, Oklahoma with Family Loan. He worked at Liberty National Bank in Oklahoma City for 7 ½ years before going to work for First Life Assurance Company in 1977. 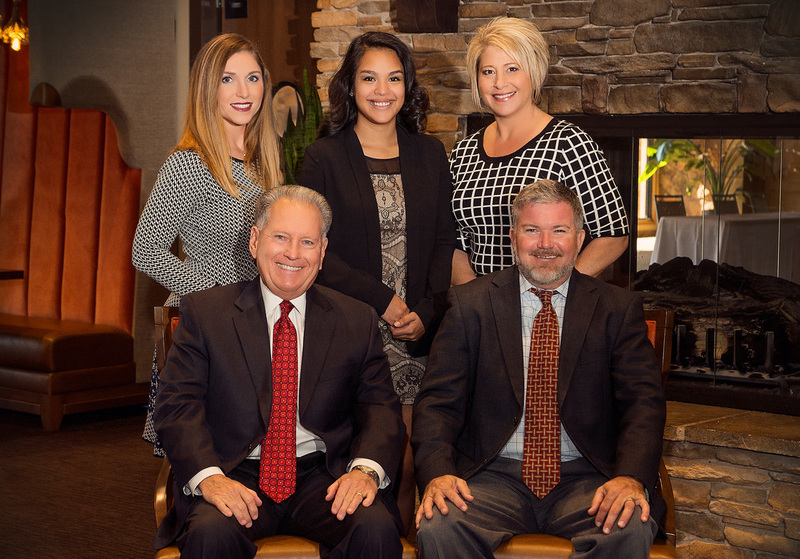 In December 1982, Terry organized First Oklahoma Life Insurance Co. with a group of Oklahoma Bankers. He also organized First Oklahoma LTD in 1992. Both companies were sold to Southern Pioneer Life in 1998 and 1999. In July 1995, he formed Insurance Products Agency, Inc. In 2001 he formed First Oklahoma Life & Casualty Re-Ins. Co., LTD followed by First Life and Casualty Reinsurance Company LTD. (FLACRe) in 2013. FLACRe is the premier Credit Life company in Oklahoma. He and his wife Cinda live in Edmond, Oklahoma and have three children and eight grandchildren. Terry’s hobbies include golf, going to the lake, college football and enjoying time with his family. Ronnie Thomas is the Executive Vice-President at Insurance Products Agency, Inc. Ronnie has been providing financial products for auto dealerships and financial institutions for over 25 years. During that time Ronnie worked for US Life from 1989-2001 and later joined IPA in 2001. He is originally from Muskogee, Oklahoma and graduated from Northeastern State University in 1988. He and his wife Lana live in Tulsa with their son Baylor. Ronnie’s hobbies include college football and hockey. Amy joined our staff in February of 2007. Amy is a fully licensed in Life, A&H, and P&C agent and has over fourteen years of experience in the insurance industry. Amy covers eastern Oklahoma, southern Kansas, and western Arkansas. Amy graduated from Northeastern State University in Tahlequah Oklahoma. She has one son and resides in Jenks Oklahoma. Amber Page is our Vice President for Central and Western Oklahoma. She grew up in Edmond and went to Edmond Santa Fe where she was a competitive cheerleader. Amber graduated from The University of Central Oklahoma with a degree in Finance and emphasis in Insurance. In her free time she enjoys photography, weekends at the lake, time with her family, and the occasional girls trip. She currently resides in Edmond, Oklahoma with her husband and two children. Bryan April brings more than 15 years of automotive industry experience to Insurance Products Agency. As Vice President of the Automotive Division for the last 5 years he is responsible for building relationships with new and used automobile dealers. Utilizing admin. obligor, reinsurance and retro models, Bryan positions dealers to realize participation opportunities that best fit their goals. Prior to joining IPA Bryan served as Regional Sales Manager for Premier Dealer Services and District Sales Manager for First Dealer Resources (IAS) covering a number of states in the mid-west. His career began in F&I for Bob Howard (Group I) and the Bob Moore Group serving as F&I Director for 4 years. Bryan is dedicated to providing dealer success that comes from F&I training, compliance, proper product selection, workplace morals and ethics. Cecilia Martinez Peralta (Ceci) joined IPA in Summer of 2015 as IPA’s Administrative Assistant. Ceci graduated with an Associates Degree from Western Oklahoma State College in her hometown of Altus, Oklahoma. Ceci enjoys spending time with her 2 sons and a large extended family.